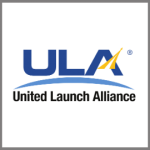 United Launch Alliance will provide Atlas V 401 launch services to NASA for the Tracking and Data Relay Satellite-M mission, which will be part of the NASA Space Network. The space agency said Saturday the estimated total cost for the TDRS-M launch is $132.4 million, including spacecraft processing, payload integration and other launch support services. TDRS-M will launch from Florida’s Cape Canaveral Air Force Station in October 2017. NASA Space Network provides voice, video, data and telemetry services to the International Space Station and other low-Earth orbiting satellites through a ground station in New Mexico, NASA said. ULA is a joint venture of Boeing (NYSE: BA) and Lockheed Martin (NYSE: LMT).